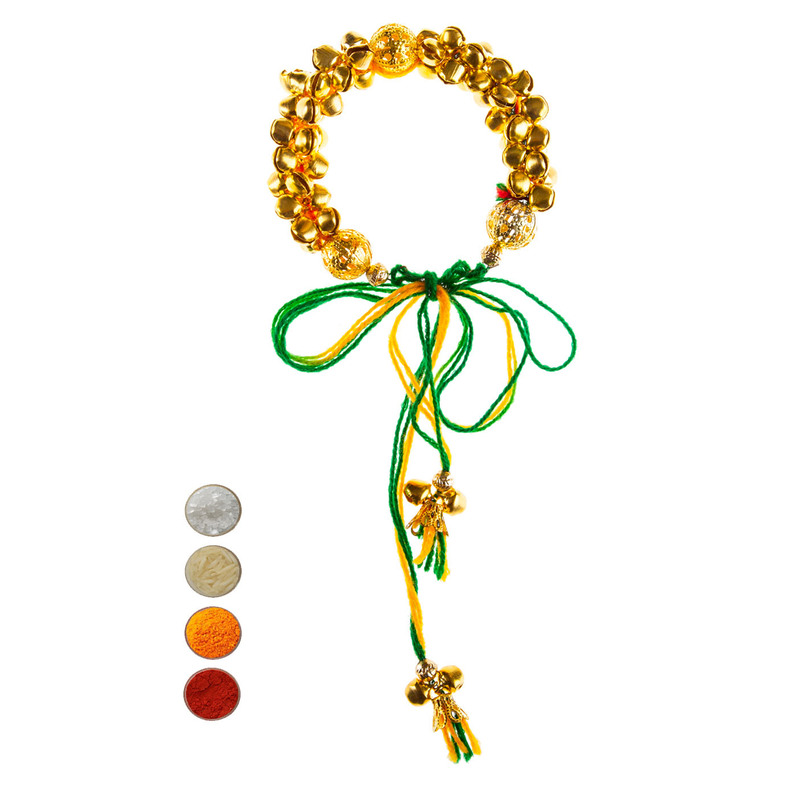 This rakhi is a type of bracelet rakhi in a bangle shape having multicolor of beads in it like green, orange, pink, blue, red, and yellow. 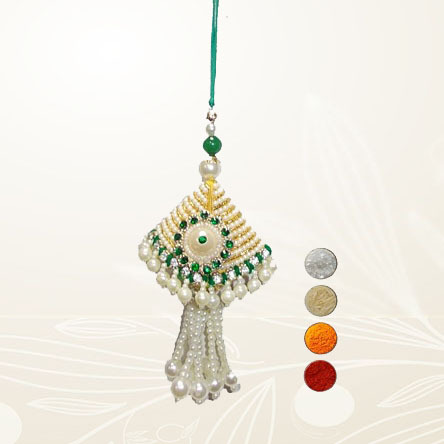 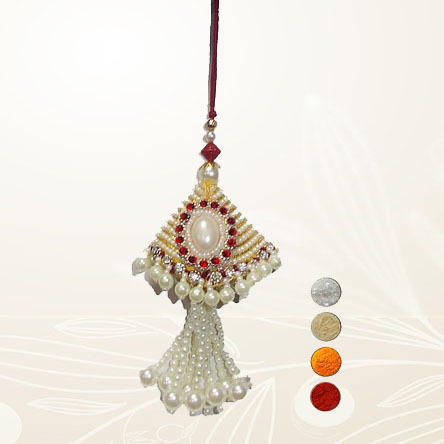 Children always love something that is colorful and this will be a perfect rakhi thread for your cute Bhabhi on this raksha bandhan. 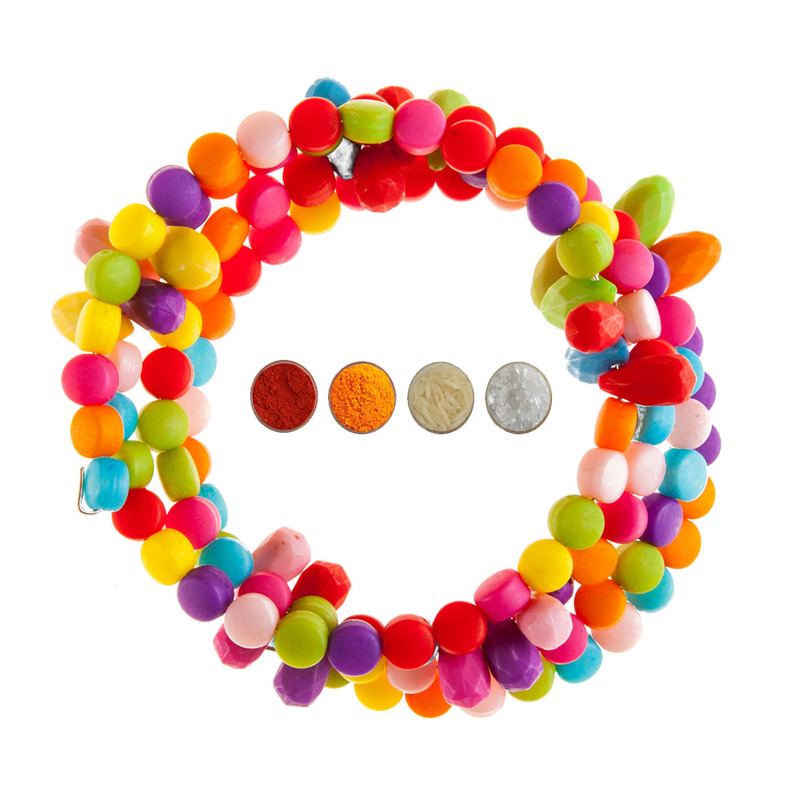 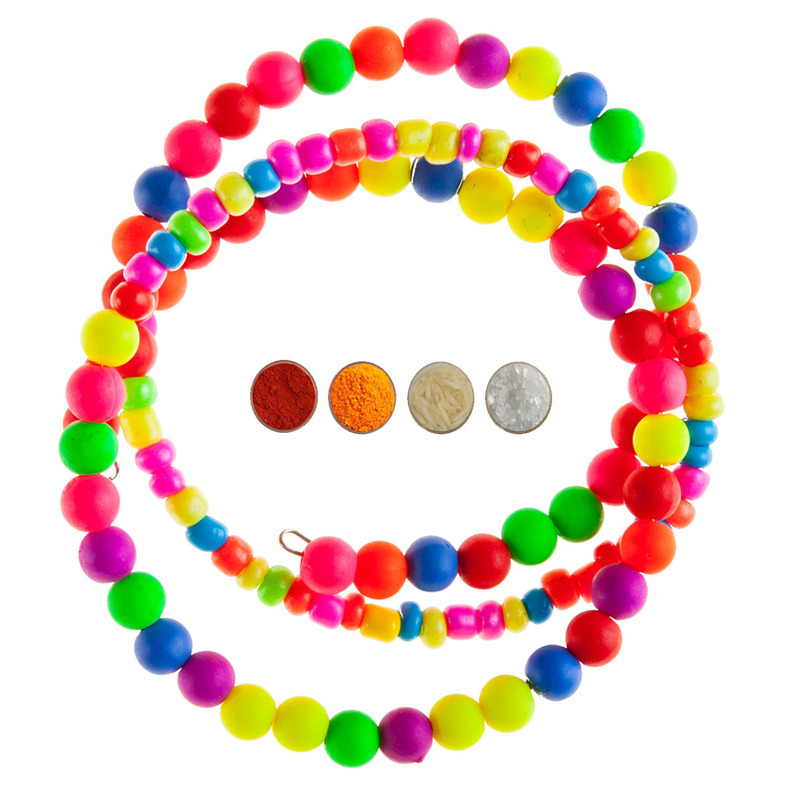 it is a round shaped bracelet that comes in a free size.